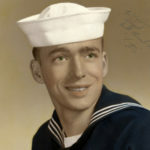 Edward Yatsko was a native of New Jersey who settled in Warwick after WWII. When CWO4 Yatsko was retired (forcibly due to age) from the RI Army National Guard at age 62 in 1986 he was believed to be the last World War II combat aviator on active duty flight status and the oldest combat pilot on flying orders. 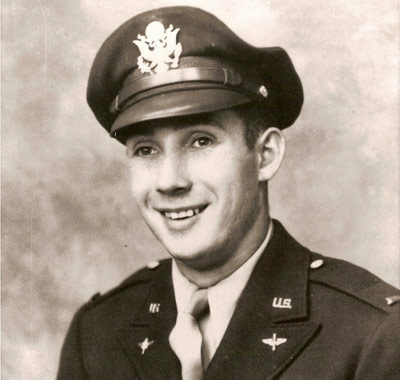 He left high school to join the military, was offered the chance to go to flight school, and at the age of 20 he flew his B-17 and its 12-man crew across the Atlantic. He flew 12 missions with the 447th Bomb Group before the war ended. He was married and the father of two when he joined the RI National Guard in 1967 at age 43. 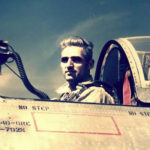 He had not flown for 22 years, but the Vietnam War was on and he heard an Air National Guard radio appeal for veterans. He joined the Army rather than the Air National Guard, but never regretted that choice. He liked the fact that both hands, both feet and both eyes are required every minute to fly helicopters. When his first extension ran out in 1985, he passed all the requirements for flying duty at age 61: the annual flight physical, including a four-mile run; instrument check ride, flight test and a four-hour written exam. At his retirement, he became the first warrant officer to ever be awarded the Rhode Island Star. He also earned the Legion of Merit and the Meritorious Service Medal in addition to his various service and campaign medals.